The different territories of France without French antarctic claim. Citizens from all these territories, including the overseas administrative divisions, are French citizens, vote in national elections (presidential, legislative), and all of the inhabited territories are represented in the Senate. The French republic is divided into 18 regions: 12 in mainland France and 6 elsewhere (1 in Europe (Corsica), 2 in the Caribbean (The lesser Antilles) (Guadeloupe and Martinique), 1 in South America (Guyane), and 2 near Africa (Mayotte and Réunion island)). They are traditionally divided between the Metropolitan regions, located on the European continent, and the Overseas regions, located outside the European continent. Both have the same status and form the most integrated part of the French Republic. Three urban communes (Paris, Marseille, and Lyon) are further divided into municipal arrondissements. There are 20 arrondissements of Paris, 16 arrondissements of Marseille, and 9 arrondissements of Lyon. The city of Marseille is also divided into 8 municipal sectors. Each sector is composed of two arrondissements. There are also 710 associated communes (as of January 2009[update]), formerly independent communes which were merged with larger communes but have retained some limited degree of autonomy (e.g. the commune of Lomme which was absorbed by Lille in 2000 and transformed into an "associated commune" inside the commune of Lille). Saint-Martin (designated as a "collectivity", French: collectivité) is also a new overseas collectivity created on 22 February 2007. It was also previously a commune inside the Guadeloupe department. The commune structure was abolished and Saint-Martin is now one of only three permanently inhabited territories of the French Republic with no commune structure. There are also no cantons or arrondissements. Saint-Barthélemy (designated as a "collectivity", French: collectivité) is a new overseas collectivity created on 22 February 2007. It was previously a commune inside the Guadeloupe department. The commune structure was abolished and Saint-Barthélemy is now one of only three permanently inhabited territories of the French Republic with no commune structure. There are no cantons and arrondissements either. 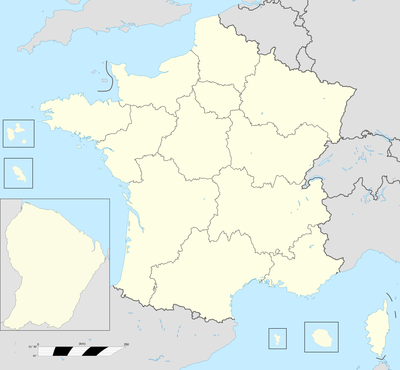 New Caledonia's status is unique in the French Republic: it is the only French local government which is not a territorial collectivity (although its subdivisions are territorial collectivities). As agreed in the 1998 Nouméa Accord, a New Caledonian citizenship was established (in addition to the French citizenship which is kept in parallel, along with the consequent European citizenship) and a self-determination referendum has been held in 2018. It is divided into 3 provinces. These territories have no permanent civilian population. The residents consist of military personnel, scientific researchers and support staff. 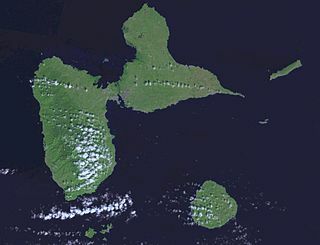 the Scattered Islands (Îles Éparses), a collection of six non permanently inhabited islands in the Indian Ocean: Banc du Geyser, Bassas da India, Europa, Juan de Nova, Glorioso, and Tromelin. These were previously administered separately but they have been joined with the French Southern and Antarctic Lands since February 2007. ^ "La réforme territoriale" (in French). Government of France. 18 December 2015. Archived from the original on 30 December 2015. Retrieved 1 January 2016. ^ a b Direction générale des collectivités locales (DGCL), Ministry of the Interior. "Intercommunalité - Bilan statistique 2009" (in French). Archived from the original on 6 March 2009. Retrieved 24 March 2009. Below is a list of airports in France, grouped by department and sorted by commune.